The former defense secretary who served under both President Barack Obama and President George W. Bush has less than glowing praise for America’s top two elected officials. In a new memoir, “Duty: Memoirs of a Secretary at War,” former Pentagon chief Robert Gates writes that Obama lacked commitment to the decisions he made about his strategy in Afghanistan, the New York Times reported Tuesday. He also writes that the White House's national security staff lacked experience and tended towards "micromanagement of military matters." His words for Vice President Joe Biden are even more harsh, the paper reports. Before becoming vice president, Biden served as the longtime head of the Senate Foreign Relations Committee. While critical of Biden, Gates appears to favor former Secretary of State Hillary Clinton. The NYT writes that Gates has “especially high praise” for Clinton. The Washington Post adds, however, that Gates says both Clinton and Obama admitted to basing their opposition to the 2007 "surge" in Iraq in part on political considerations. "Hillary told the president that her opposition to the  surge in Iraq had been political because she was facing him in the Iowa primary. . . . The president conceded vaguely that opposition to the Iraq surge had been political. To hear the two of them making these admissions, and in front of me, was as surprising as it was dismaying," Gates writes, according to the Post. 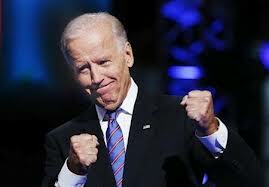 Both Clinton and Biden are considered possible contenders for the 2016 Democratic presidential nomination. 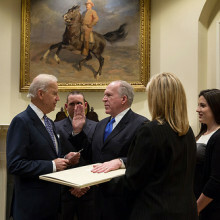 The White House on Friday released President Barack Obama and Vice President Joe Biden’s tax returns. “The President and First Lady also reported donating $150,034 – or about 24.6 percent of their adjusted gross income – to 33 different charities,” Carney said. “President Barack Obama made less in 2012 than in any other year since taking office, with about 40 percent of the nearly $609,000 in income that he and first lady Michelle Obama reported coming from book sales,” the Associated Press notes. “A look at the Bidens joint filing reveals that $2,000 of [their $7,190 to charity in 2012] was in the form of ‘donated property’ given to Goodwill in Wilmington, Delaware,” the Weekly Standard notes. CNN says limousine services for Vice President Joe Biden’s February trip to Europe cost taxpayers $321,665. The contract information appeared on a federal government website. 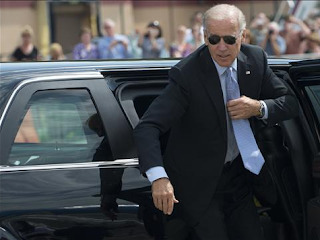 News of the pricey limo services comes on the heels of reports that Biden’s London lodging cost taxpayers $459,388.65 for “136 hotel rooms for 893 room nights” at the Hyatt Regency London. And his one-night stay at the Hotel Intercontinental Paris Le Grand rang up to a whopping $585,000.50. CNN suggested that the postings may have been an error, as similar cost information was not posted for past vice presidential travel. On Saturday, the Obama administration’s efforts to maintain the fantasy that diplomatic efforts will get Iran to abandon its pursuit of nuclear weapons was again on display for all the world to see, courtesy of Vice President Joe Biden. During a speech at the Munich Security Conference, Biden contended that the United States “would be prepared to meet bilaterally with the Iranian leadership.” ”There has to be an agenda that they are prepared to speak to,” Biden added. “We are not just prepared to do it for the exercise.” The Iranians, meanwhile, are hailing the new approach the Obama administration is taking with Tehran and are no doubt looking forward to the extra time it will afford them to continue on the trajectory of their nuclear weapons program. One is forced to ponder what outcome Biden could possibly be envisioning that would rise above the level of a futile “exercise,” given Tehran’s continual intransigence and the Obama administration’s indulgence of the regime’s games. The latest failure to move the needle occurred as recently as January, when nuclear inspectors from the UN’s International Atomic Energy Agency (IAEA) were denied access to the Parchin military complex southeast of Tehran. 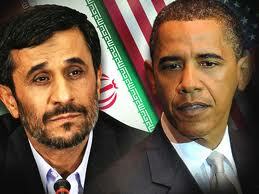 Parchin is where it has long been suspected that the Iranians are working on a nuclear trigger for a bomb. IAEA deputy inspector Herman Nackaerts expressed his frustration at the time: “We had two days of intensive discussions. Differences remain so we could not finalize the structured approach to resolve the outstanding issues regarding possible military dimensions of Iran’s nuclear program,” he said at the time. The two side are scheduled to meet again on February 12. Watered-down sanctions and poor oversight are already incentive enough for Iran to stay the course. For instance, Special Inspector General for Afghanistan Reconstruction John Sopko revealed that an audit of U.S. defense spending in Afghanistan shows that the Pentagon may have spent a “significant amount” of money for fuel purchased from Iran, due to a “lack of oversight” on the billions of dollars of taxpayer funds used to support the Afghan military. ”The fact that the United States has paid for the acquisition and delivery of imported fuel for the Afghan National Security Forces — nearly $1.1 billion for the Afghan National Army alone between fiscal years 2007 and 2012 — raises concerns that U.S. funds could have been used to pay for imports of fuel potentially in violation of U.S. economic sanctions against Iran,” said Sopko. No doubt this is due to a certain level of bureaucratic sloppiness that is endemic to the kind of ever-expanding government this administration champions. And while that may be somewhat understandable, this administration’s ongoing diplomatic approach seems destined to do little more than give Tehran the time it needs to finally cross the nuclear weapon threshold. Thus it was completely unsurprising that Iranian Foreign Minister Ali Akbar Salehi was pleased with Biden’s offer. ”As I have said yesterday, I am optimistic, I feel this new administration is really this time seeking to at least divert from its previous traditional approach vis-a-vis my country,” Salehi told the German Council on Foreign Relations. Salehi, who also attended the Munich conference, went further. “I think it is about time both sides really get into engagement because confrontation certainly is not the way,” he added. Such a statement is a typical rewriting of history. Negotiations between some combination of the P5+1 countries (United States, Russia, China, Britain, France and Germany) and Iran have been ongoing for a decade. In all that time, not a single proposal has gained acceptance from all the parities involved. Such orchestrated futility is the essence of what a diplomatic approach has produced. Yet once again the P5+1 is offering Iran another chance to engage in negotiations on February 24, possibly in Kazakhstan. While Salehi called this “good news,” the Iranians have yet to accept. Even if they do, Salehi has offered a hint as to where they are likely to go. ”And another thing: this issue of the nuclear file is becoming boring,” he said during the same interview. In London, Hossein Mousavian, one of Iran’s former nuclear negotiators, also hinted at the likely futility another round of multilateral negotiations would produce, claiming that they are meaningless without “parallel dialogue” between the Obama administration and Iran. “I believe they should start immediately. They should put all issues on the table. They should start with issues of common interest like Afghanistan in order to create a positive momentum,” he said. That would be anyone on the Western side of the equation. Iran is learning that the Obama administration is seemingly determined to find some sort of accommodation with the fanatical mullahs , and nothing says this better than the president’s attempt, and likely success, in getting Chuck Hagel appointed Secretary of Defense. In 2007, Hagel voted against designating Iran’s Revolutionary Guard a terrorist group. In 2008 Hagel, like Biden, also favored direct negotiations with Iran, despite noting that “they support terrorists, they support Hezbollah. They’ve got their tentacles wrapped around every problem in the middle East. They’re anti-Israel, anti-United States. Those are realities. Those are facts.” In his Senate hearing last week, Hagel “explained” his reasoning in a jaw dropping moment when he noted that the U.S. had never “designated a part of a legitimate government [Iran]” as a terrorist organization. Realizing his mistake he corrected himself. Iran’s government is “recognizable,” he said. So is Hagel’s cluelessness. It is all the more amplified by another gaffe during which he said he supported the Obama’s administration policy of “containment” with regard to Iran, even though the administration has repeatedly ruled that out as an option. In fact, Iran would probably like nothing more than to be at the stage of “containment” after securing a nuclear weapon. Apparently the Obama administration remains unconvinced. Though ten years of pursuing diplomacy have produced no tangle results, this administration still believes it is capable of getting an apocalyptic regime to alter its divine objective: hastening the second coming of the Twelfth or Hidden Imam whose re-emergence must be preceded by a period of chaos. And as the U.S. continues down the road of appeasement, expect fanatical Iran to respond accordingly. The White House and the nation's leading gun lobby will meet face-to-face Thursday amid an intensifying effort in Washington to craft new gun control measures, in what could be a testy session. (POLITICO) Vice President Joe Biden indicated Wednesday that the president will be able to take executive action to combat gun violence as he kicked off one of several meetings this week in response to the Newtown shooting. “The president is going to act. There are executive orders, executive action that can be taken. We haven’t decided what that is yet, but we’re compiling it all … as well as legislative action, we believe, is required,” he said. House Speaker John Boehner, R-Ohio, wouldn’t shut the door on bringing up recommendations from Vice President Biden’s commission on gun violence in the House next year. But the top House Republican wouldn’t commit, either, to allowing votes on specific gun control measures – like renewing the assault weapons ban or limiting ammunition magazines’ capacity – that Democrats have called for in the wake of last week’s elementary school shooting in Newtown, Conn.
President Barack Obama tasked Biden on Wednesday with leading the task force on gun violence, which the president said he wanted to produce specific recommendations by next month. The panel was prompted by the tragic Newtown shooting, which claimed the lives of 20 children and 6 teachers at an elementary school. "The president is absolutely committed to keeping his promise that we will act and we will act in a way that is designed -- even if as he says we can only save one life -- we have to take action," Biden said at a meeting Thursday with cabinet and law enforcement officials. Boehner’s words Thursday mark a relatively open stance by the speaker, who enjoys an “A” rating by the National Rifle Association. Back in July, after the shooting at a movie theatre in Aurora, Colo., Boehner resisted calls for new regulations on guns saying: "The president has made clear that he's not going to use this horrific event to push for new gun law and I agree." MOSCOW — Vice President Joseph R. Biden Jr., who two years ago introduced the idea of a thaw between the United States and Russia, used a speech at Moscow State University to criticize Russia’s legal and political systems, a move likely to irritate the country’s leaders. Russia's state-controlled television paid scant attention to the speech by Vice President Joseph R. Biden Jr.
Russians, he said, “want to be able to choose their national and local leaders in competitive elections. They want to be able to assemble freely, and they want the media to be independent of the state. And they want to live in a country that fights corruption.